ICELAND. 2007. 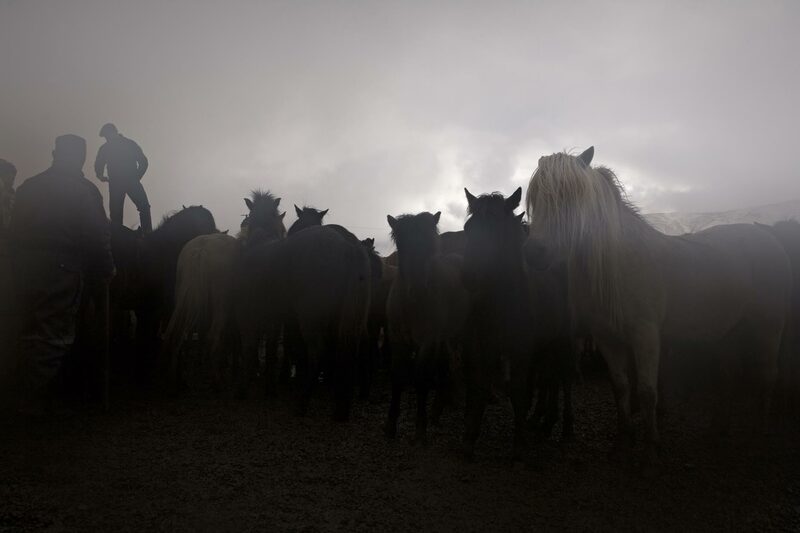 In September, farmers and villagers all over Iceland gather for sheep and horse roundups (Réttir). They herd the animals into a circular pen system, where the local animalowners and various townspeople help eachother separate the animals among the owners.